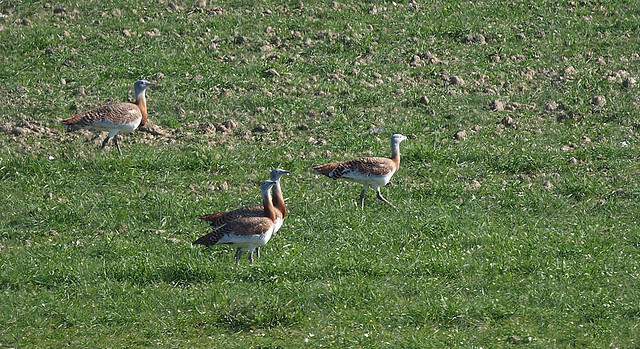 The Great Bustard is spread across Europe in various areas, but unfortunately often in small numbers. The numbers of the species are declining. 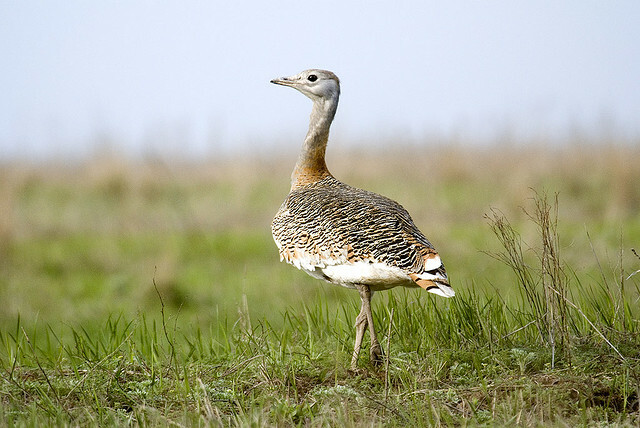 It is a large, light-grey and brown bird. It looks like a goose, but has much longer legs.